Like many places in the Arab world, tea and coffee are Jordan's social lubricants of choice, and while their tea has many variants it is nearly always served strong and black in small glass tumblers, sweetened with sugar and with some kind of herb or spice for flavoring. 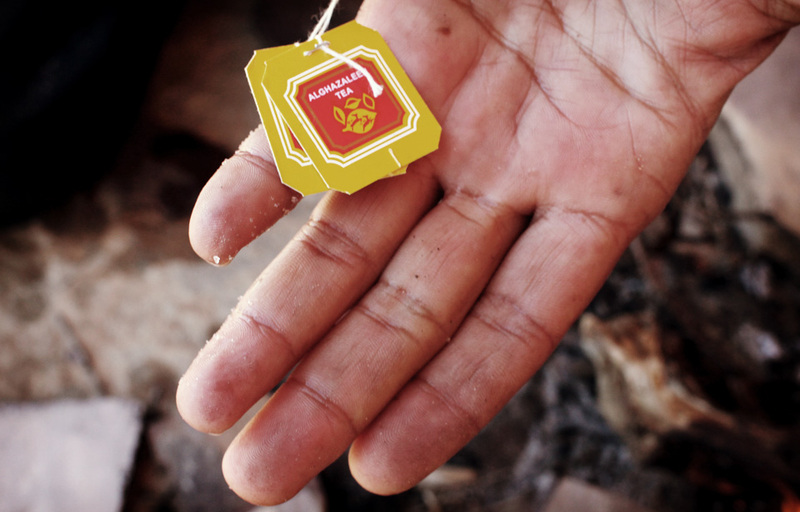 This recipe comes from our guide, Salim, at the Dana Reserve in south-central Jordan. He was a quiet, thoughtful man who had quit the military life to pursue a career as an artist and guide. His family had lived in the area for many generations and he knew every inch of the expansive reserve - he cherished his special part of the world and was eager to share it and his knowledge of it with others from around the world. Half way through our hike, Salim took us to his 'coffee shop' - a protected shelf in a mountain, overlooking a deep valley, and instructed us on the art of Jordanian tea. Firstly the water has to be warmed over an open fire as the wood smoke adds important flavor to the tea. I'm not sure if the wood type is important but in this area there were pistachio trees; tiny, squat oak trees; and juniper trees. The kettle he used to boil the water held about a litre and was put directly on the fire. Once the water had begun to heat, Salim added a palmful of cinnamon bark and white sugar. Jordanians like very sweet tea, and while the sugar is an important ingredient, I don't have that much of a sweet tooth. As a compromise, Salim added about 4 tablespoons to the kettle. Once the water came to a boil two teabags were added. The tea he used was called Alghazaleen Tea but Salim also said Lipton Yellow Label was acceptable. The kettle stayed on the fire for a little longer until it came to a solid boil and was then set aside to steep for a few more minutes. Salim served it in small glass tumblers and we drank it as soon as we could, the hotter the better. Traditionally, when it comes to tea I am strictly a milk and no sugar man, but there was something magic in the marriage of these flavors; the bitter tannic tea, the rich earthy tang of the cinnamon and the sweetness of the sugar. It was unexpectedly harmonious and worked perfectly. I have drunk countless cups of tea in my life but this was one of the most memorable. The planets aligned with the stunning scenery, the great company and this delicious, freshly brewed elixir. Posted on March 5, 2014 by admin and filed under Tea and tagged cinnamon Dana Dana Reserve Jordan shai Tea trekking. A charming piece about food and tea in the outdoors, taken from "In the Wilderness" written by Charles Dudley Warner in 1878. It is a collection of his essays about living in the mountains. This is one of those scenes that I wish I could jump into. Sitting down after a hard days slog and feasting on what, at the time, is the greatest meal you ever had. 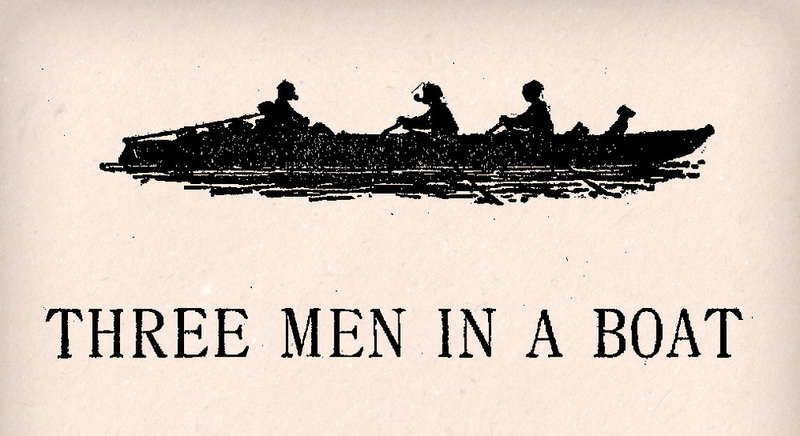 "In The Wilderness" is still in print and is also in the public domain for download. Posted on June 14, 2013 by admin and filed under Tea and tagged 1870's Charles Dudley Warner essays In The Wilderness Tea. This may sound stupid to some more experienced foragers, but I've been hunting wintergreen for some time now - I'm not sure how it eluded me so readily but I never seemed to track any down. I have found a lot of reference to wintergreen in many books but I think "The Wild Food Trailguide" by Alan Hall was one of the best. The book was written in 1973 and is one of the classic guides for the North American forager. I particularly, and understandably, like the expansive wild teas section. The really great thing is that wintergreen grows all year round, due to this I figured now would be as good a time as any to look for it as, there is little else in leaf in its size range right now. Doing a little hiking last weekend I made a point of hunting wintergreen and almost immediately I came across a little patch by the trail head. After that it seemed to be everywhere, maybe I got dialed in. The main thing I checked for was that the leaves actually smelt of wintergreen - the easiest way to make a clear identification. So with the Trangia cranked and the water boiled I threw in a small handful of wintergreen leaves and steeped them for about ten minutes. The resulting brew was great; it had a pleasant but mild minty flavor with a foresty, leafy tang. Very refreshing. Next time I think I'll add a BIG handful and try and eek out some more flavor, but it was an impressive start. The leaves can be dried but some of the flavor is lost so it's best to use them freshly picked. Hall also goes onto to describe a root beer like concoction which can be made similarly to tea. If I get a big harvest next time, I might give it a try. "The Wild Food Trailguide" is an excellent book worth hunting out. Hall mentions 16 wild teas in its pages, so you may hear more from this very interesting read. Posted on March 5, 2013 by admin and filed under Tea and tagged 1970s Alan Hall foraging Tea The Wild Food Trailguide Wintergreen. Chris Yates is one of the UK's most beloved anglers, he is a prolific writer, contributing to many fishing journals as well as publishing his own books. He is a major proponent of vintage gear and old fishing methods. His love for fishing, nature and the outdoors is infectious and his calm, level manner and slightly eccentric style have made him a real fishing character. I always loved Chris the angler, but recently I found he was a tea lover as well, this puts him in the REAL hero category for me. Shown here is a little piece he did for gofishing.co.uk about how to make the best riverside tea. He favors the Kelly Kettle an item he's championed for years. In "A Passion for Angling" it gets called out by name multiple times. He also chooses a loose leaf Ceylon blend from Miles. If you have not seen "A Passion for Angling" you are really missing out. For me, there is no other fishing program that capture the magic of fishing so vividly. There is no pretension or machismo it is just about the pure love of angling. Posted on October 26, 2012 by admin and filed under Tea and tagged Chris Yates fishing Kelly Kettle Tea Yates. This tea comes from one of the most celebrated foraging books of all time, Euell Gibbons' "Stalking Wild Asparagus". This classic book first printed in 1962 is far, far more than an edible plants field guide. It is a witty, insightful book that teaches the reader about foraging through Gibbons' stories and exploits. Essential reading. Gibbons has dedicated a whole section to what he calls "Wildwood Teas" (lots of rich Tea Chronicles picking here) which is where we find his recipe for blackberry, raspberry and strawberry leaf tea . The leaves of these three familiar fruits have long been dried and used for tea and in home remedies. Gather the leaves while the plant is in flower and dry them as directed with other tea materials. One word of warning: be sure the leaves are thoroughly dry before you use them as tea for, as they wilt,they develop a poison which is driven off or altered in composition as the get thoroughly dry. There have been cases of livestock being poisoned by wilted berry leaves, but when these leaves are contained in fully dry, cured hay they cause no ill effects. I had only just read this chapter when I was invited to a friends house who's garden was overflowing with raspberry bushes. I tried to pick the greenest and freshest looking leaves. Once home I laid them out, on newspaper, in the sun on the kitchen table. I left them for a full two weeks to make sure they were completely dry (Gibbons' word of warning concerned me a little.) The colour was still really impressive even on the dried leaves. I steeped a half dozen crushed leaves in boiling water for about 10 minutes and gave it a try. I then added another 6 leaves and left it for 5 minutes more. The tea was light, even after leaving to mash (steep) for a considerable time and adding additional leaves. I couldn't eek much flavor from it at all. The taste that I did get was a vegetal and slightly herbal flavor. There were some tannins. Not unpleasant, just not much of anything. I have read so much about berry leaf tea I can't help thinking I've done something wrong. I shall persevere with this one, so there may be an update to this post as soon as I can get hold of larger quantities or leaves. Does anyone have any tips for berry leaf tea? Gibbons' book is, in my opinion, essential reading for anyone with even the slightest interest in foraging, botany, the outdoors or even for anyone that likes a good book. It is still in print and easy to find. I hope to be trying more of his recipes in soon. Posted on August 30, 2012 by admin and filed under Tea and tagged 1960s berry Euell Gibbons foraging leaf raspberry Stalking Wild Asparagus Tea wildwood tea. This is a recipe from "The Edible Wild" a fantastic book written by Berndt Berglund and Clare E. Bolsby. This is my kind of recipe. Hemlock trees are pretty easy to find in Maine. They easliy identifiable with rough grey/red bark. Their needles grow in two neat rows on either side of the branch. The needles have a distinct groove on top and two white stripes on the underside. I headed to a small wooded trail near Freeport with my soda can stove and came across some young Hemlock trees. I cranked the stove and steeped a palm full of needles for ten minutes and gave it a crack. The tea was quite pleasant. The taste was subtle, the flavour fragrant and piney. Like walking through a dense pine forest. I'd be happy to have this as an alternate to my regular brew and I'm glad I have experimented with it, if nothing else to increase my tea options when hiking. "The Edible Wild" is such a good book and it's given me a ton more ideas for projects. I already started my dandelion wine, more to come on that soon. Posted on June 15, 2012 by admin and filed under Tea and tagged Hemlock pine Tea the edible wild. 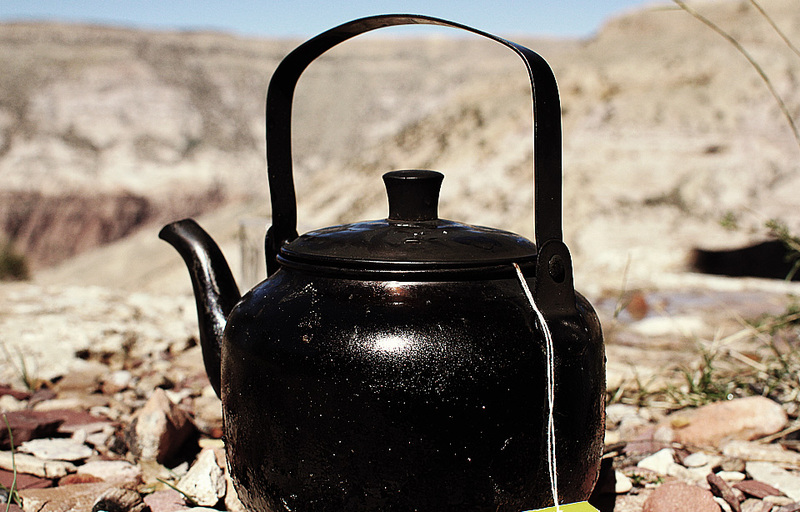 Billy tea is a legendary Australian outback brew favored by bushmen. Ted Cais who contributed some of his vintage bushwalking and climbing photography has also been kind enough to pen some of his early memories of billy tea. The “Smoke-O” was a staple of outback life around Kajabbi station where I spent my childhood years and never was a finer tea prepared than on an open bush fire. First, you converted a used jam tin into a billy by threading fencing-wire through holes punched near the top for a handle. The water had to be from a local creek or billabong already steeped in subtle flavours from extracts of plants and wildlife. Gum trees were plentiful and provided excellent firewood that would be roaring in no time at all. The blackened billy was suspended in the flames without a lid so the water would absorb sparks and ashes whilst coming to a roiling boil. Green eucalyptus leaves were essential on the fire for smoke and distilled oils to imparted a heady signature smoky flavor and complexity. Brands like “Billy Tea” or “Ty.Phoo Tea” were common in the era and came in coarse leaf form to be measured by eye in a cupped hand and added the instant the boiling water was removed from the fire. Then the billy would be given a few raps with a stick to disperse the leaves and allowed to stew for five minutes or so to achieve a bitter potency saturated with tannins. The final touch was to swing the billy around your head so centrifugal force would settle the leaves, after which the tea could be decanted into a chipped enamel pannikin. Some might add sugar or even a touch of sweetened condensed milk but the tea was best straight and scalding. The bushmen would squat around the fire sipping this divine tea while rolling a smoke in Zig-Zag (or Tally-Ho) papers from ready-rubbed flake tobacco with their free hand. A glowing coal from the fire provided the best light so as not to spoil the cigarette with sulphur fumes from a match. A huge thanks, as ever, to Ted. You can see all of his photography here. Posted on May 6, 2012 by admin and filed under Tea and tagged Australia billy billy-tea outback Tea Ted Cais.